Supply chain digitization leverages technology to connect, integrate and manage the end-to-end process and to enable a supply chain infrastructure from which other supply chain capability can be added or combined. A modular-based supply chain is a set of interchangeable components, that can be combined or re-combined into a system of strategic, planning and executable components. Each component is designed to contribute to the overall business goal, and integrates and shares information with other components of the business model. Combining the benefits of a digitized supply chain with modular-based supply chain capabilities enables a connected, integrated adaptive business model that allows companies to move quickly and flexibly to support different business needs and outcomes. Being an adaptive supply chain hinges on your ability to change. Adaptive digital supply chain organizations can quickly add or modify products, add or modify capabilities, or consolidate components to maximize efficiencies or improve customer experience. Every industry has its own rate of change, depending on its products, processes and customer requirements. Individual capabilities can lose value overnight, driven by shifts in the economy, competition or disruptive technologies, but competitive advantage is directly correlated to your ability to change. Adaptability is related to how to well a company can continually transform its business to find sources of competitive advantage. The key capability of a digital modular supply chain is that it is strategically aligned, digitally enabled and focused on being adaptable for competitive advantage. Using this approach, allows for a best of breed customized bundle of modular services to be carried out where it is most cost effective and profitable to do. My next articles will discuss how you can implement a digital modular supply chain to address changes in market demand and achieve cost and profit strategic objectives. 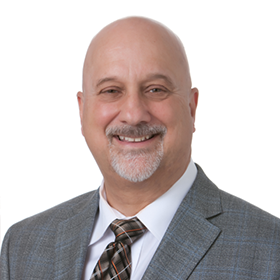 Angelo has over 20 years of consulting experience working as a Supply Chain Business Transformation Consultant, Process Consultant and Project Manager. He is a Performance Improvement expert who has reengineered organizations and processes to increase efficiency, enhance productivity, shorten cycle times, lower inventories, improve reporting, strengthen controls and reduce operating expenses. He has orchestrated and led teams that designed and delivered Supply Chain Operations/Strategy Solutions to key accounts including aerospace, defense, and technology icons.